Comprehensive survey with list of jobs completed and approved. A rare example (and 2nd build) of the flagship of the original Bavaria Yachts (ie before they went bankrupt for the first time) in year 2000. In those days, Bavaria built strong and stable boats and this model won the ‘Best Boat’ award at Dusseldorf Boatshow (the largest show in Europe) in 2000. Only 7 are believed to have been built. This and the smaller 47ft sister are unique in having an aft deck extension which provides a platform for carrying a dinghy on top and liferaft below. So, while the hull length is 51ft, the overall length is 56ft. 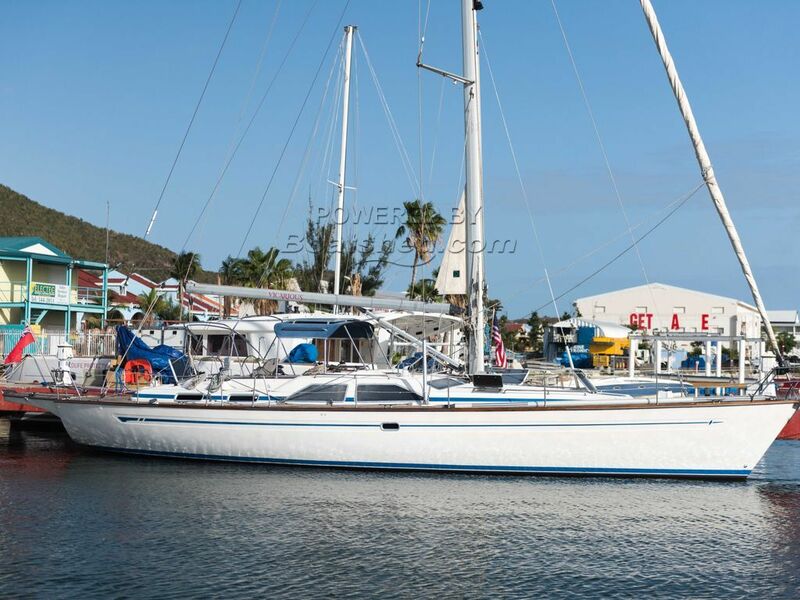 Vicarious is a centre-cockpit, GRP blue-water cruising sloop with staysail providing a cutter option. She is fitted with the shoal keel option which has just over 5 tonnes of ballast giving the boat a ballast ratio of 38%. This is high by today’s standards and she also has a narrower stern than is the current trend. The result is a very comfortable sail and in strong, blustery conditions she is astonishingly easy to sail, cutting through waves without pitching or buffeting. The heavy keel also ensures a comfortable night at anchor. She has an enormous aft cabin making her the perfect boat for long term cruising or even a permanent live-aboard alternative to a house. This Bavaria 51 Ocean has been personally photographed and viewed by Mike of Boatshed Wales. Click here for contact details.